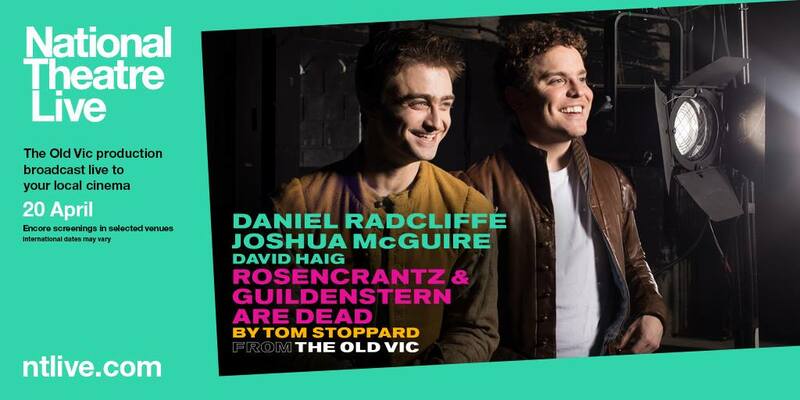 The Old Vic has just announced that Rosencrantz and Guildenstern are Dead will be broadcast live from The Old Vic to cinemas on 20 April 2017 as part of National Theatre Live. It will be international according to their statement, so if you are lucky you may be able to see the play in your local cinema if you can't go to London. Update: 13th February 2017. The first venues are listed. You can find them here. International screenings will be added over the coming weeks. Update: 20th February 2017. Poster. The venues will be announced soon. International dates may vary. Tickets are also on sale soon so you can expect an update later. It's also shared on Daniel's official Google+ page. 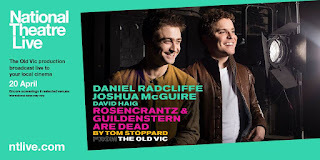 Against the backdrop of Shakespeare’s Hamlet, this mind-bending situation comedy sees two hapless minor characters, Rosencrantz (Daniel Radcliffe) and Guildenstern (Joshua McGuire), take centre stage, with David Haig as The Player. 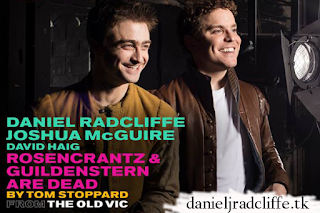 Increasingly out of their depth, the young double act stumble their way in and out of the action of this iconic drama. 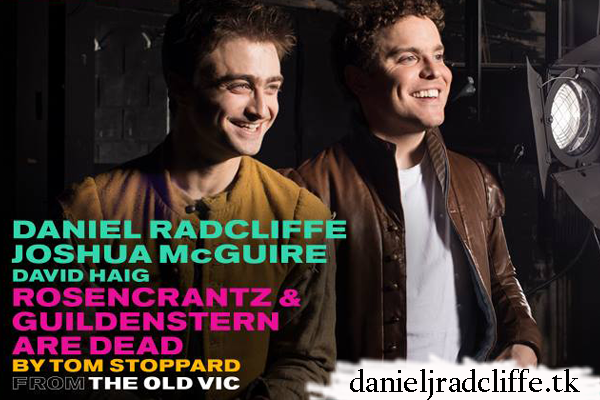 In a literary hall of mirrors, Stoppard’s brilliantly funny, existential labyrinth sees us witness the ultimate identity crisis.